If you’ve had a long day & your mind is racing, then this is the blog post for you. Mindfulness is a great way to reduce stress. We all have a lot going on in our lives. We are trying to balance our jobs, our social lives, eating healthy, working out & possibly a side hustle. It can be extremely stressful. 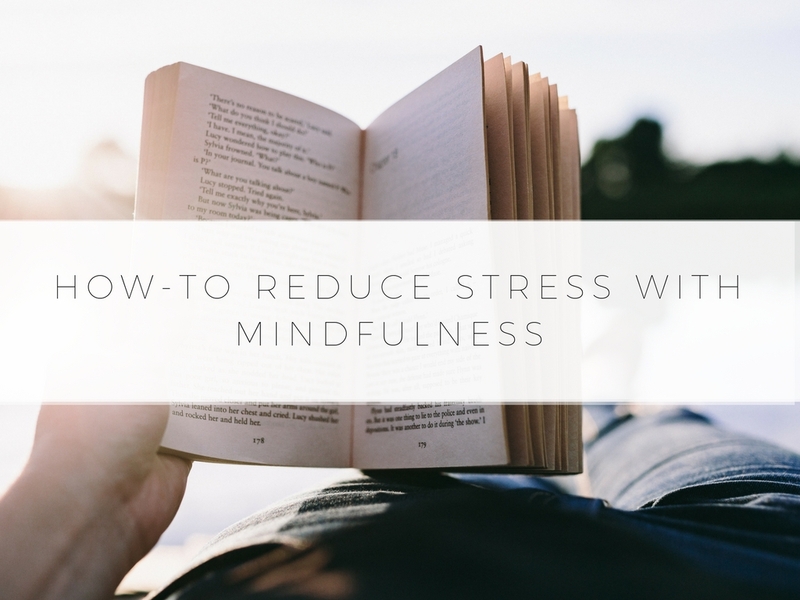 Keep reading to learn how-to reduce your stress with mindfulness. If you drive to work & you are stressed, put on one of your favorite songs. While you are driving & paying attention to the road, then listen to the music. Think about the meaning behind the song. Think about how the song makes you feel. If you are stuck in traffic & this is a high stress environment, then this is the perfect opportunity for you to be mindful. Pay attention to the road & if the cars in front of you are moving, but if you are at a stand-still, take a couple of minutes looking at the cars around you. What are the colors of the cars? Look at the sky quickly. What is the weather like? Be present & mindful of what is going on currently in the world around you. This is one of my favorite ways to relax & reduce stress. If you are looking for a quick way to feel more relaxed & you enjoy hot beverages, then you need to practice mindful tea drinking. Pour yourself a cup of tea or a cup of coffee & really focus on drinking your drink. Taste the flavors in your mouth & the feeling of the beverage warming your body. If you find your thoughts starting to think about other things than the present moment, shift your thoughts back to drinking your beverage. You will feel so refreshed after this mindfulness practice. 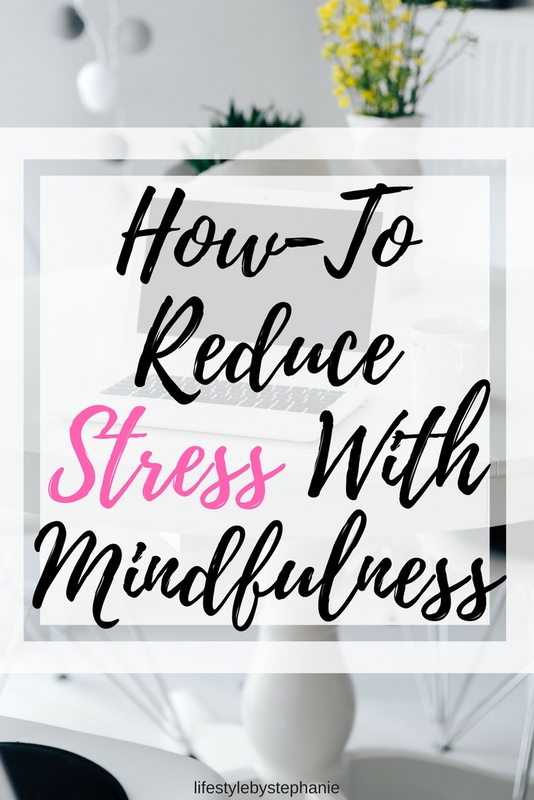 Bonus tip: mindfulness does not only help you if you are stressed. It can help with anxiety, depression & more. You can practice mindfulness while brushing your teeth, gardening, walking down the street & more. You just have to be completely present while you are doing the activity in order to reduce stress. Another mindfulness exercise is trying to find three things that you see (so if you are walking down the street, you can look at the building, a sign or the grass), three things that you hear (you might hear your footsteps, cars honking or the sounds of someone talking) & three things that you feel (you might feel your shoes on the ground, the wind passing by your body, or the feeling of your ring on your hand). After this exercise, you will find yourself enjoying the present moment more. This is another mindfulness practice that is great after a long, stressful day. Get yourself in a comfy position, maybe light a candle, or play some relaxing music. Then, close your eyes & then slowly scan your body. Think about how your head is feeling, then your neck, then your shoulders & so on. 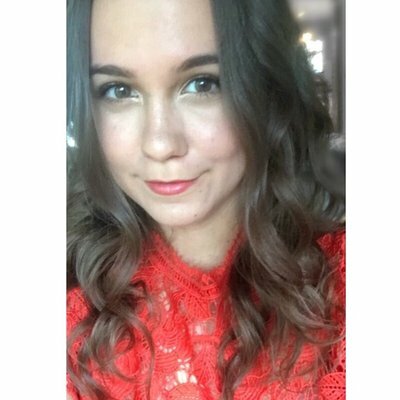 Are there some parts of your body that feel tighter than others? Are you feeling like your shoulders are feeling tense? After you are done scanning your entire body, you feel more relaxed. It is a great way to stop thinking about whatever is stressing you out & focus on how you are feeling in the moment. The key to mindfulness is realizing that your mind is going to automatically shift to thinking about other things. The key is to not be upset about the thoughts. Instead, let the thoughts pass through your brain as if they are clouds. This will help you feel less stressed. If you find yourself feeling a stressful thought coming up, don’t dwell on the thought. Instead, let the thought go & start thinking about something else. Let me know in the comments below if you try any of these mindfulness exercises. Excellent suggestions – Thank you !!! I love all these practices! I’ve been listening to podcasts during my morning and evening commute, deep breathing throughout the day, meditation before sleep..or even things like doing things in the kitchen in silence and just being with my thoughts after a long day at work, it really helps a lot! This is a great read! I never realized how many different mindfulness activities I could practice throughout the day without setting aside yoga/meditation time in my schedule. Thanks for sharing!